In the depths of the Great Depression, President Roosevelt warned Americans that we have nothing to fear but fear itself. Our great nation has at its disposal the means to ensure recovery. But a pernicious fear has yet again wormed its way into the public consciousness. We are told that our nation is out of money, on the verge of bankruptcy. We cannot afford to spend our way to recovery. We cannot find a way to employ the 25 million Americans who want full-time jobs. We can’t afford a decent education for our young people, health care for all, and retirement for our aged. We must cut government spending, cut the deficit, and reduce outstanding debt. Is government spending so high that inflation is threatening to reach double digits? No. Inflation is well-contained, even with a commodity price bubble (now made worse by unrest in the Middle East). True, the fear mongerers see inflation right around the corner (they ALWAYS see inflation right around the corner), and they point their fingers toward Chairman Bernanke’s QE2 helicopters. Yet reasonable people agree that consumer prices and producer prices are in check, and that even a trillion dollars of excess reserves in the banking system cannot fuel inflation, because, well because those excess reserves are just sitting in the banking system where they can do no harm. They cannot break loose and run around the economy driving prices up! When banks tire of holding the excess reserves, they’ll send them back to the Fed to buy back treasuries and MBSs and whatever else the Fed bought from them. At that point, the Fed will simply deduct reserves from bank balance sheets, effectively destroying them. Is government spending so high that it is competing with private sector spending plans? For the most part no—plant and equipment are idle, workers are idle, and there is ample capacity for firms to expand if they want to do so. They are in fact constrained by inadequate demand for their output. Ok, there may be some bottlenecks somewhere, with some firms suffering in competition with government. The solution is to seek out those bottlenecks and relieve the strain—either by promoting more supply or by finding ways for government to reduce its demand for resources in short supply. There is no need to cut government spending in the vast majority of areas where it is not competing. Is government issuing so much debt that it is driving interest rates to sky-high levels. No. Rates are relatively low—across the maturity structure. Yes, risky borrowers have to pay higher rates than they paid before the crisis hit. But isn’t that a desired outcome? Weren’t rates too low back in 2006, especially for risky lending? In any case, while rates on longer term government debt have gone up a few clicks, they certainly are not high by historical standards, or in comparison to borrowing rates paid by private firms and by other governments. In other words, markets do not fear that bankruptcy by our nation’s government is imminent. Is government spending so high that the dollar is crashing in international exchange markets? No. Certainly the dollar has its ups and downs—we’ve got a floating exchange rate and it is supposed to go up and down. Treasury Secretary Geithner even thinks the dollar is TOO valuable, at least relative to China’s RMB. Whether or not he is correct, many economists do agree that it would be nice if the dollar fell a bit in order to encourage US exports. I’m on the other side of that debate, but I simply bring it up as evidence that “reasonable” people seem to agree that the dollar is not in danger of crashing and might even be too strong. To conclude: there is no current evidence that the fears of national bankruptcy are well-grounded. The fear merchants are forced to argue that Armageddon is somewhere down the road—maybe next generation, or the one after that, or maybe hundreds of years from now. So while there are no visible problems now, the deficit is like a termite that is undermining the foundations of our nation. Here’s some food for thought. The US government has run a deficit in 190 out of the past 230 years. The one and only time that the US government was not in debt was back in 1837. The federal government debt has risen on trend since that date—with only a few brief hiccups when debt was reduced. Indeed, there have only been 7 hiccup periods, when debt was reduced by a substantial amount. The last time was during President Clinton’s term. The previous 6 periods all “coincidentally” occurred just before our 6 economic depressions. Remember 1929? Yes, that was the penultimate debt reduction period—followed by our Great Depression. Clinton’s budget surpluses were followed by the dot-com collapse, the Bush recession, a sluggish recovery fuelled by a housing bubble, and then by—the global crisis and our current calamity. Seven sustained periods of budget surpluses and debt reduction, each followed by economic crisis. Correlation doesn’t prove causation, and history doesn’t repeat itself but in these cases it sure does rhyme. Budget surpluses and reduction of outstanding debt is followed closely by an economic collapse. Why? Deficits create net income and savings in the nongovernment sector, accumulated in the form of safe government debt. Surpluses destroy private sector income and net wealth. There is an unrecognised sectoral identity at work. Can a federal government deficit be sustained over the long run? That is the same thing as asking whether a private sector surplus (net saving) can be sustained. If the private sector wants to save, the government sector can run deficits to let it save. They are the partners in the tango. So all the talk about the dangers and unsustainability of government deficits and debts is not well-grounded in empirical reality. It is also not well-founded in economic theory. And it fails the sectoral accounting logic. Unless the economy is pushing up against resource constraints—as it would do if we were at full employment—then there is no economic theory that says that we need to reduce government spending or raise taxes. Before full employment we can argue about what government should spend on, and who should pay taxes, but there is no economic argument against debts and deficits per se. Hence, the deficit fear mongering is not about economics. What is it really all about? Representative Paul Ryan (R-WI), head of the House Budget Committee, says that reducing the federal government’s deficit is a “moral challenge.” It is a morality play, plain and simple. It is, as Ryan says, a debate about “different ideas about government”. It is about what “should” government do, not about what “can” government do. The government CAN continue to spend on the current scale, and CAN even increase its spending. Government does not face an affordability constraint—sovereign government can always afford to “credit bank accounts” (as Chairman Bernanke puts it) using keystrokes. The question is SHOULD the government do so? Here’s the problem. In poll after poll, the American people consistently reject spending cuts for any program other than “foreign aid”. Indeed, they want more federal government spending for education and Medicare and all the other things the deficit warriors want to cut. In short, the problem is that if democracy ever had its way in America, the government would be BIGGER, not smaller. So what can the fear merchants do? Lie and obfuscate. Talk about “unfunded mandates,” “unsustainable deficits,” “debt burdens on grandkids,” “government is running out of money,” “national bankruptcy.” All lies. 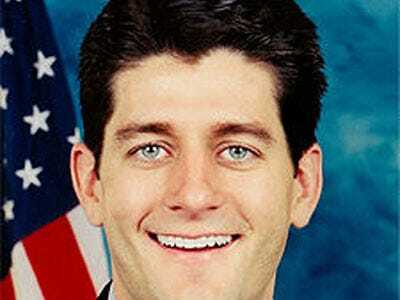 Rep. Paul Ryan is correct when he admits that deficit hysteria is really about morality, not economics. It is time that the rest of the deficit-cutting crowd join Ryan. Let them make their best case for morality. Let them tell the American people that they oppose taking care of the sick, the poor, and the aged. They do not want American kids to get a first class education. They do not want Americans to have a 21st century transportation system. They do not agree with President Obama that America should avoid being left behind by China. It offends their “morality”. Let’s try their morals in the court of public opinion.